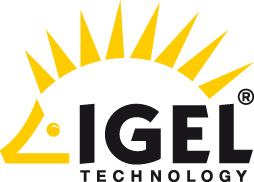 The German thin client market leader IGEL will start off the new IT year with a redesigned version of its flagship product. On 13 January 2015, the latest generation of the IGEL UD5 featuring a brand new housing and even more computing power will be launched. This is IGEL’s response to the growing need for bandwidth efficiency and performance. Computing-intensive tasks such as decoding multimedia content, unified communication and other complex applications, which generate a significant load on the client side, can therefore be handled with ease. A further improved hardware framework featuring an Intel Celeron dual-core processor with up to 2.58 GHz allows users to enjoy all the cost and security benefits of thin clients while taking advantage of their great versatility. Naturally, the latest version of the IGEL UD5 supports all popular communication protocols such as Citrix HDX, PCoIP or Microsoft RDP including RemoteFX. Visually, the new housing is reminiscent of the IGEL UD3 and offers the same advantages when it comes to connectivity, ease of use and environmental protection. Based on Intel’s Bay Trail chipset technology, the new UD5 features an Intel Celeron J1800 dual-core CPU with 2.41 GHz or, optionally, with 2.58 GHz. In order to cope with future requirements, the new UD5 comes supplied with a 2 GB main memory (DDR3L-RAM) for all operating system types. The W7+ version also includes up to 8 GB of flash memory in the form of a SATA SSD. IGEL can now also offer bigger flash memory modules upon request. The UD5 impresses with its large number of peripheral ports. One PS/2 port, two serial ports, one PCIe slot and a total of six USB ports (2 x USB 3.0, 4 x USB 2.0) are featured as standard. Options available with the new IGEL UD5 includes an integrated smartcard reader and a connectivity bar. This is available in two versions: with a WLAN module and an additional parallel port or with an anti-theft USB port within the bar itself. Dualview support allowing simultaneous use of two digital monitors via DVI and the display port is standard. Thanks to its excellent multimedia capabilities, there are practically no limits when using this high-performance package. For example, the UD5 is ideal as an end device in educational institutions that need to offer users full-screen HD video playback. Image editing applications, CAD viewers or unified communication, e.g. Microsoft Lync, can easily be provided using the new IGEL Thin Client. The energy-efficient UD5’s extensive hardware is particularly beneficial when it comes to desktop virtualization. In order to speed up multimedia playback on the client side, the thin client can locally decode and smoothly play back flash animations and other video files diverted by the server. This highly effective multimedia redirection method allows the new UD5 to conserve server resources while ensuring the best possible user experience. Visually, the new UD5 resembles the IGEL UD3, which was unveiled in February 2014. The housing, which is made of a single type of hard-wearing plastic not only creates a new look but also offers additional benefits as regards handling and user convenience. In addition to the standard version designed as a standing device for the desk, the UD5 can also be attached to the rear of a monitor with the help of an optional VESA mount adapter. The adapter can be used for the 75 mm and the 100 mm version and rounds off the package when it comes to versatility. The buttons and sockets on the front have also been redesigned. In order to eliminate a potential source of wear or faults, the new on/off button is touch-sensitive. The new cover for the front USB and audio ports reacts to gentle pressure and is therefore extremely easy to open and close.